I love an excuse to throw a party, and sometimes you don’t even need one! Invite some friends over and make your favorites with a few new recipes thrown in the mix. 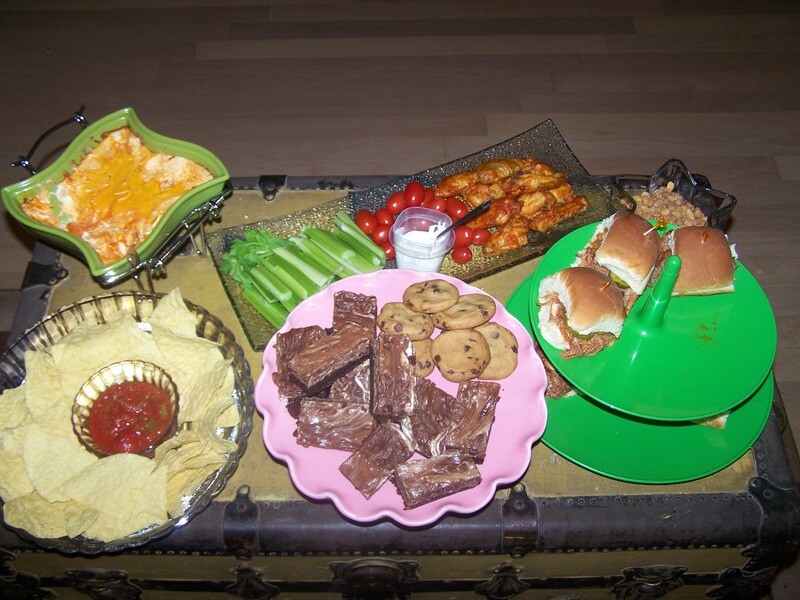 These items would be delicious for any gathering, but I made them with Superbowl Sunday in mind. Dress in your team’s colors and add some football flair to your food with festive decorations. To avoid the longest blog post ever, I’ve created four separate posts to highlight my party menu. Just click the links below to open the ones that suit your fancy. What’s your favorite party food? Do you have a go-to recipe in store when friends come over?